At Open Books our focus is on high quality literary and contemporary fiction, timely and entertaining nonfiction and avant-garde poetry. It is our aim to present the very best of a new generation of authors to readers who are looking for fresh voices. Open Books is a fully integrated royalty publisher. All our publications are published in trade paperback and eBook editions. Paperback editions are available from the publisher and at many high quality booksellers around the world. eBook editions are multi-format and available to read on all popular eReaders including Amazon Kindle, Barnes & Noble Nook, Sony Reader, Kobo Reader, Apple iPad and others, as well as in PDF for your PC. All Open Books titles can be purchased from our online store, Open Books Direct. All transactions at Open Books Direct are secure. Delivery for paperback editions is within 7 -10 days. Delivery is immediate for eBooks. All relevant file formats are offered, so simply choose the format that corresponds to the device on which you will be reading. All downloads from Open Books Direct are DRM free so you can share your book with family and friends. And remember, authors earn higher royalties when you buy direct from the publisher. 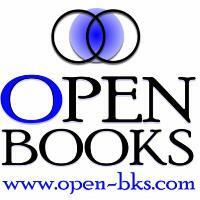 Open Books strives to publish high quality fiction and non-fiction. We like to see literary and contemporary fiction and serious, scholarly non-fiction. We love cutting-edge, out-of-this-world, brainy fiction and political, social, ecological and controversial non-fiction. We are generally not interested in genre fiction such as romance, horror or paranormal unless it has a very original or literary spin, nor are we interested in pop non-fiction such as self-help, diet books, dating guides or pseudo psychology. 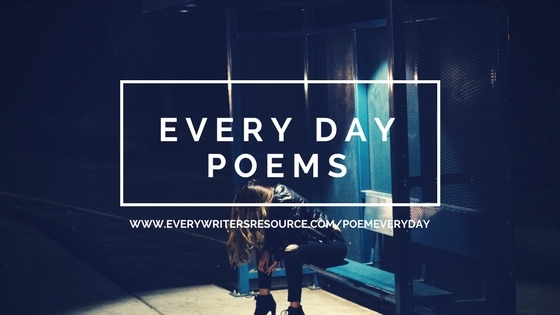 For fiction submissions, please include a cover letter with your contact information, a one-page synopsis, an author bio, and the first three chapters of your manuscript. For non-fiction submissions, please include a cover letter with your contact information, a detailed outline of your project, an author bio, and a sample of your writing. A one-page query is acceptable and even encouraged before submitting if you’re not certain your book is a good fit with Open Books. Open Books will be publishing my third novel Swift Dam, a very fine publishing house. I send you now my live story, I am born in Holland on 27 April 1929 in A small mining town, and all this things really happened in my live, which is very interesting for any reader, I left Holland to start travel the world when I was 30 years old, till I was 68 when I came back to Holland, all this years I wend all over the world, more then 150 countries, looking for A better please to stay, but all over the world it was one great mishap. When I was A small kid I had many of times great dreams of making travels to far away countries, and my longing and imaginations for this was sometimes so great, that in my mind I made some trips, through which I had the feeling that this really would happen one’s. I have been tortured for some weeks, and I still have some of the scars left from this, but by all this pain and hardness, I kept my mouth shut, because I knew that if I did tell the German security what I knew, that many of the resistance members would be in a prison camp and die. But when I was 20 years old I build my own 26 Meter long Houseboat, because I did learned about this at the Shipyard In Gronningen, but working on this new Coasters I had to go My of times on a trail trip with this vessels, and while we were sailing over the rough North sea, After some time I sold This houseboat for good money to by my first hotel in Amersfoort, I build this place out be A very good business, an sold this place to buy A bar restaurant in Amsterdam and made a small hotel from it for U S military on vacation who where staying in Germany, and made good money. I always saw myself as being the captain of one of this boats .But my dream came through, when I was 30 years old, and I was in Nigeria the builder of some fishing vessels, and the first build vessel The Maria, was launched by the Nigerian President, and later became the Captain Commander from the fishing fleet. Then years later I traveled through the Far East, and had great adventures. From there I went to South America, where I was a Gold digger in the Tomaco jungle of Colombia, and bought a restaurant in Buenaventura harbor, which was the most dangerous and rotten place I ever had seen. The Hotel Restaurant The Dutch Inn, which became very famous all over South America. I also became involved again with another fishing company, and was part owner of five fishing vessels, commanding them also. I saw how other people worked, lived and suffered, I have studied all the religions, and I have found out that the world itself is an better University than any other great school in the world, and that the best writers are the ones who have traveled a lot and seen human sufferings, and been going through plenty of hardships by them self. I have studied evening business school in The Hague, while I worked for a technical rubber Company as a sales man, and I went many of times to England for buying rubber goods from the Leyland Corp. The Balance, in this place I made out very well, so that I have bought there also a garage, to sell and rent out cars etc. But through family problems I sold everything and started an Import and export business from Germany and Holland to Africa, with a partner who was a Nigerian, named Thompson, we had a bank an Accra Ghana and a fishing company. But when they got political problems we lost our interest in the country, and started in Nigeria a shipyard to build our own 90 feet wooden fishing boats, this was in Lagos Nigeria, this boats where build from Mahogany wood, and the first big boat build in Nigeria, was launched by the president of the country, because the Company had very good relations with the Government, and some Ministers and even the president visited my place. I have been the Technical director in this company and the Captain Commander of the fishing fleet, where I did teach the local fisherman how to fish with traps and trawling nets. But when the civil war with Biafra started, I became involved because they wanted to use our boats for their private war but I did not agreed, and escaped with one of my fishing boats to Port Libreville in the Gabon, where I had to stop and order some parts in Holland for the Kromhout Engine who needed repair, this took a long time so I went badly sick, and after that I had plenty of time to knew the country, where I came in contact with Doctor Schweitzer who lived in a small hamlet in Laberadeen, but when I started fishing around the coast from Libreville and Port Gentile, I had a lots of trouble with the fishing up there, and when the local Government became interested in buying my vessel, I sold this to them for a good price, and I went further down to look for a other business, I have been Mercenary and adviser of some revolt groups, but I first went to Angola where I came in contact with the local rebellion movement, who could sell me some Diamond’s, but this people where too rough for my taste, so from there I went to Namibia looking for the diamond business up there, then to South Africa, and from there to Zimbabwe, then to Mozambique, but I could not find the right place, and traveled on to Zambia. Then to Tanzania, and from there with a boat to the Island Malagasy, and the Maldives, but I left there quick again because the rotten political troubles, and went to Kenya, where I went on a safari with some English people, but I could not find the right place and business, so I went on to Somali, then to the Sudan, where was the same human exploitation going on as at the other places I had been. I went on to Egypt and Libya, and from there to Algeria, then from there to Casa Blanca in Morocco, where I have tried to buy the Nightclub The Don Quoschote, but the owner wanted to much money, so I traveled to the seaport of Tangier, but this town was too rough for my taste to do business, so I flew back to Amsterdam. And after some time I started to look again for a business in Holland and I bought a Bar Dancing in Nijmegen, which I called the Blue Bell, this place was located on the Ganzenheuvel, and became very famous through that I had bands playing in there from England, but through some short in the electrician wire, the place burned down, when I was with my wife on a family visit in Amsterdam. Then I started a bar in Venlo but the authority’s did not wanted to give me a license, through which I was so pissed off, that I went on as a Globe Trotter again, but now to the Asiatic countries, I drove with my Hudson Car to Paris, from there to Spain and Portugal, then to Italy, and the Island Sicily, but there was the Costa Nova the boss and no good for me, because I did not wanted to get dictated and to work for them, so I brought my car to the harbor of Naples, to ship this to Adelaide in Australia, Then I bought an open Ticket and flew to Belgrade, up there I rented a car and went around, then I went on to Rumania, Bulgaria and Greece doing the same thing, then from there I flew to Iran, then to Pakistan. But there was too much religion war going on, so I went to Bombay in India searching the country, but the religion was killing this country while the poverty was a disaster, and children died from hunger by the hundreds, then I flew to China, and Hong Kong, from there to Burma looking around in Rangoon, then to Shri Lanka and I bought some beautiful gem stones in Colombo, which I still have till today. Then I went to Thailand, where I did stay for some time in Bangkok, but the poverty was terrible in this places and it was no good for doing business, so from there I went to Malaysia, and from there to Adelaide in Australia, where I picked up my car and went to visited a friend Chris Herman, together we went all over the country, and I ended up in the North at the place named Darwin, I sold my car, and from there I flew to Papua New Guinea and traveled all over the Australian and Dutch side of the Island, and I went on an expedition with a group of people, then I flew to Bali in Indonesia, to see if I could find a good Hotel up there which was for sale, because this place was known as a very good tourist center, I traveled over whole Indonesia but could not find where I was looking for. Then I visited many of Islands in the Indian Ocean, like the Philippines, then to Samoa and some French Islands, I went to Guam, then to Auckland in New Zealand where I visited GIs borne, Nelson and Wellington, then to Christ Church, and Dunedin and I saw the whole Island. But I was still very restless, and My friend Chris had told me to take a look in South America, and he thought that the best place would be in the Caribbean, so I went to Rio In Brasilia, there I went on a travel to buy land at the Matto Grosso, and saw different other places, but when I saw the slaughter of many poor Indian tribes I hated this, through that I did not wanted to stay in Brazil. So I flew to Bolivia and Argentina, but the country was to unstable, so I went to Valparaiso in Chile and went on to Santiago, and to the cold wetlands, but this place was not to my liking, so I flew to Lima and other places in Peru, where I looked around, then from there to Guayaquil and Quito in Ecuador, then with the bus I went over the border at Pasto, in to Colombia, first to Cali, and then to Buenaventura, from there I flew to the Amazons in Leticia, where I did some fishing and hunting, then to Bogotá, where I had a good look around but this town was the same as all over South America, A lots of Crime and poverty, and from there I flew to Caracas in Venezuela. I mostly flew because flying in South America was very cheap, and from there I went to France Guyana, Suriname, and British Guyana, but this places where still to undeveloped, so I went to the Dutch Antilles, but this Islands where too much explored already, so I went back to Holland. I stopped with the cold digging and asked my wife to come over to Colombia and stay there with me. But this seaport was a very dangerous place to live in, so when I heard from the bank manager that there was an American at the Island of old Providence in the Caribbean sea, I went over there on a visit first, but then I have lived on the Island for more than thirty years, and what did happened from then on, you can find in my 2 books.